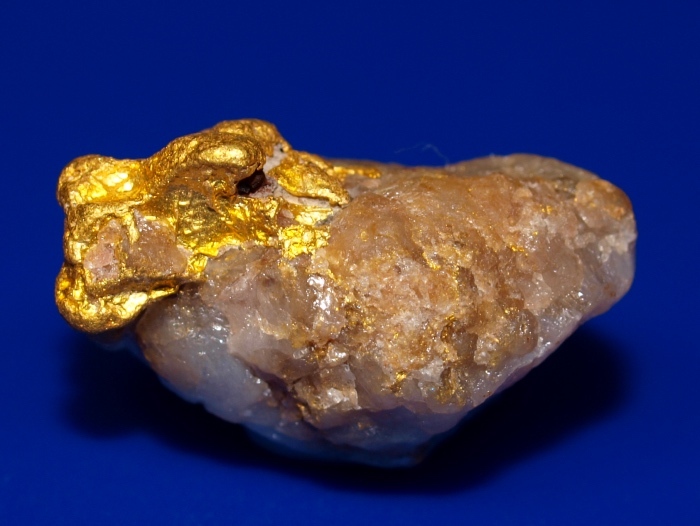 This lovely little specimen was found by a prospector in Western Australia. 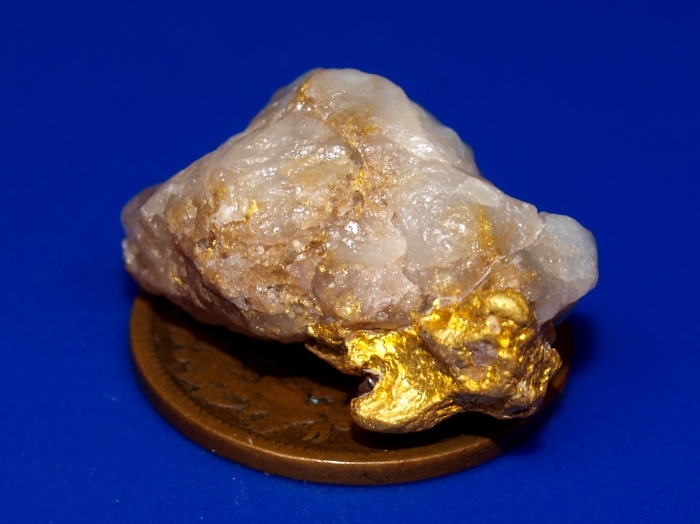 It weighs 5.72 grams and has a nice outcrop of gold coming from the quartz. The Indian head penny in used in the photo for size reference only. 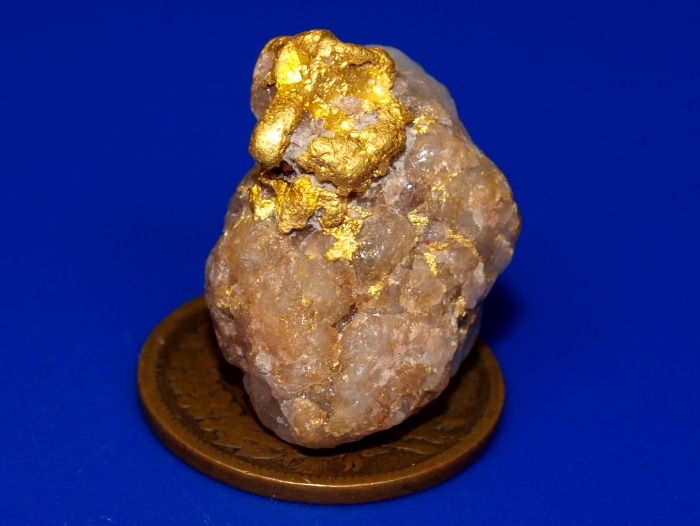 This nugget will ship for FREE and comes in a nice display case.